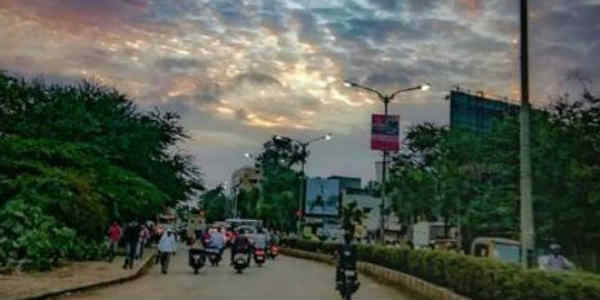 During the last 24 hours, dry and warm weather prevailed over most parts of Chhattisgarh, Madhya Pradesh and Maharashtra. However, rains are now likely to make an appearance. At present, a Cyclonic Circulation is persisting over extreme North Madhya Maharashtra and adjoining Madhya Pradesh. Moreover, a trough is extending from Southeast Arabian sea to East Madhya Pradesh across Maharashtra. Mixing of two air masses is also taking place in parts of Vidarbha and adjoining Telangana, which is gradually reaching up to Chhattisgarh. 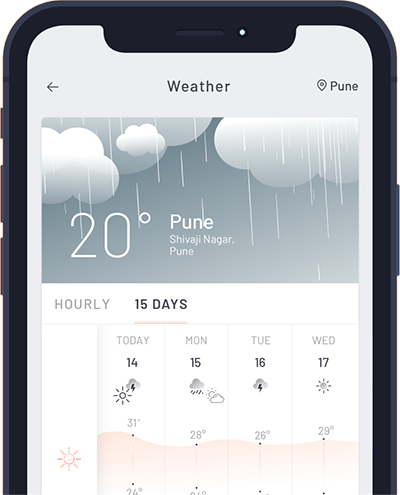 As these systems are likely to move further in east and northeast directions, we expect clouding to increase over the regions and thereby bringing short spells of light rains and thundershower activities over parts of Marathwada, Vidarbha, South and East Madhya Pradesh as well as adjoining parts of South Chhattisgarh during the next 24 hours. However, these activities will persist for a short duration. Moreover, haziness and mist will set in over the most parts of Central India. Meanwhile, very light winds will blow over the regions. Talking about the temperatures, maximums over Ambikapur in Chhattisgarh was recorded at 22.6℃ while minimum at 8.2℃. On the other hand, maximum over Bhopal in Madhya Pradesh was recorded at 26.8℃ while minimum at 13.4℃during the last 24 hours.